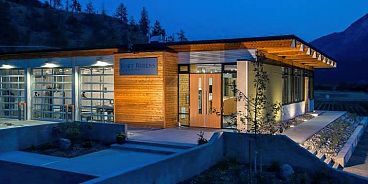 Local wine lovers will be happy to learn that a brand new winery has recently opened its doors in BC, and it’s a great excuse for a road trip up north to Lillooet. Fort Berens Estate Winery, owned by a group led by Rolf de Bruin Heleen Pannekoek, has already made a name for itself. Their 2012 Chardonnay won “white wine of the year” at Whistler’s big food and wine festival Cornucopia, and their 2012 riesling won the Lieutenant Governor’s award for excellence in BC Wines. Another standout feature of Fort Berens Estate winery, which is nice and spacious at 9500 square feet, is the tasting room which was designed to provide guests with a viewing area of the wine-making process and the vineyard itself. The drive from Whistler to Lillooet, across our coastal mountains, is considered one of BC’s top 10 scenic drives — perhaps an ideal early autumn adventure? This October, the Fort Berens tasting is room is open every day from 10-6 and, come November, 10-5 from Wednesday to Sunday.